2013 Dr Pepper Dallas Cup Cotton Bowl Stadium Games | Dallas Cup, Inc.
(DALLAS, Texas) – Dr Pepper Dallas Cup has announced that it will kick off the Gordon Jago Super Group at the historic Cotton Bowl Stadium on Sunday, March 24th with a quadruple-header featuring eight internationally recognized teams. The marquee game of the day will feature one of the world’s most iconic brands Manchester United battling Mexican powerhouse Club America at 6:30pm. The action starts at 10:00am when Coritiba FC of Brazil, defending Dallas Cup Super Group champions, will take on 2012 English Premier Academy League Champions Fulham FC. The 12:30pm game features Eintracht Frankfurt from Germany vs. MLS LA Galaxy Academy, arguably the most recognized brand in Major League Soccer. Fluminense FC, one of the most storied clubs in Brazilian history, will take on two time Super Group champion Tigres UANL of Mexico at 3:00pm. The annual Welcome World Opening Ceremonies featuring all Dr Pepper Dallas Cup teams will start at 5:00pm. The Wednesday night matchups on March 28th will feature 2011 Co-Champions Tigres UANL of Mexico against Aalborg BK from Denmark starting at 5:00pm followed by Club America of Mexico versus the Dallas Texans at 7:30pm. Championship weekend will kick off on Friday, March 29th with the Gordon Jago Super Group semifinals taking place at 5:00pm and 7:30pm while Saturday and Sunday will see the championship games of all age groups taking place on the stadium field. The Super Group final will take place at 6:00 pm on Sunday. Dr Pepper Dallas Cup XXXIV tickets for all stadium games go on sale February 1st on dallascup.com. Platinum Reserved Tournament Passes (limited availability) are $60 ,adult General Admission Value Packsare $40 andyouth Value Packs are $20. Reserved single day (limited availability) are $15, adult General Admission seats are $10, and single day youth tickets are $5. Games will be played all week, free of charge, at University of Texas at Dallas complex and Classic League Soccer Complex at Richland College. Get the latest information about Dr Pepper Dallas Cup XXXIV, teams, schedules and more at dallascup.com. For further media inquiries please contact Albert Chia via email at albert@dallascup.com or Daniel Robertson at daniel@dallascup.com. 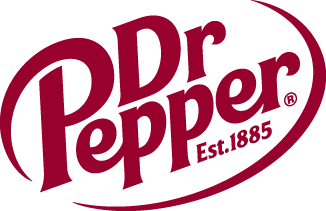 If interested in sponsorship opportunities with Dr Pepper Dallas Cup or the Dallas Is Diversity Program please contact Executive Director Andy Swift at the Dallas Cup office via phone at 214.221.3636 or at andy@dallascup.com.